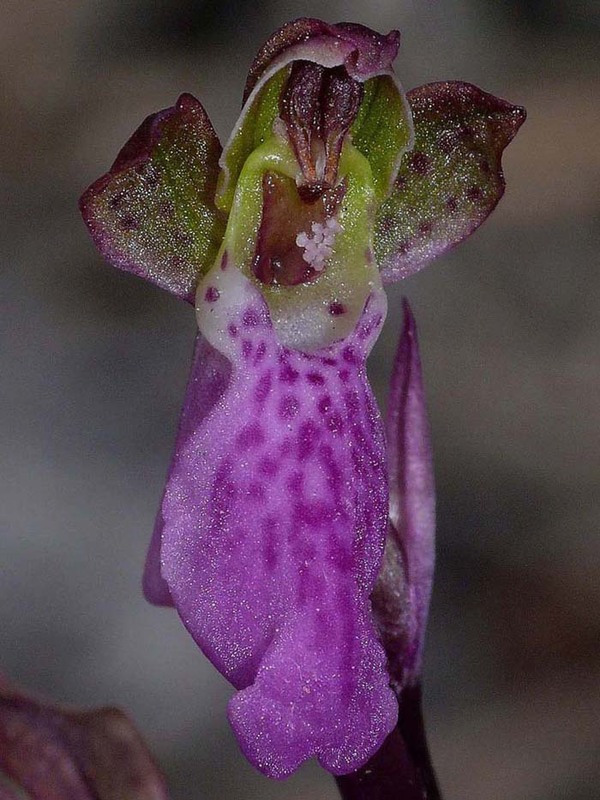 This handsome orchid was first described from Salzburg, Austria in 1837 and is named after A. von Spitzel a Bavarian botanist of the early 19th century. 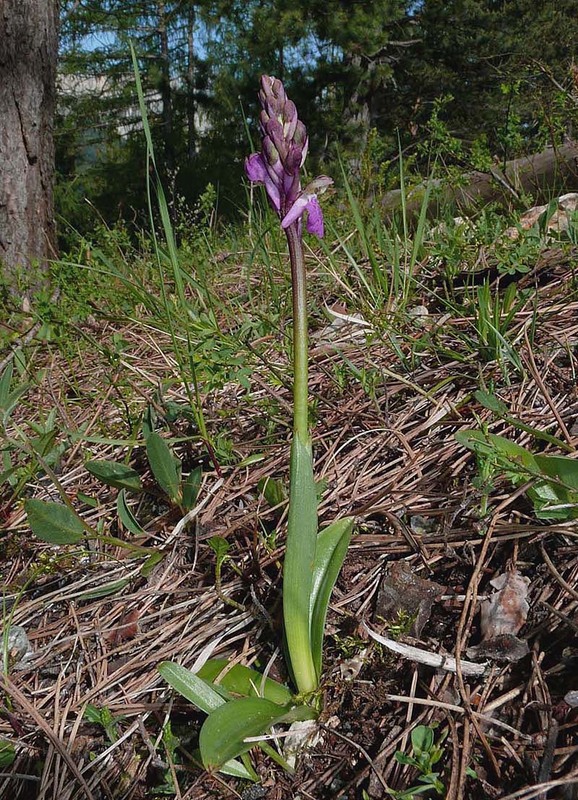 It is a rare and local species with a disjunct distribution from Sweden in the north, to Algeria in the south. 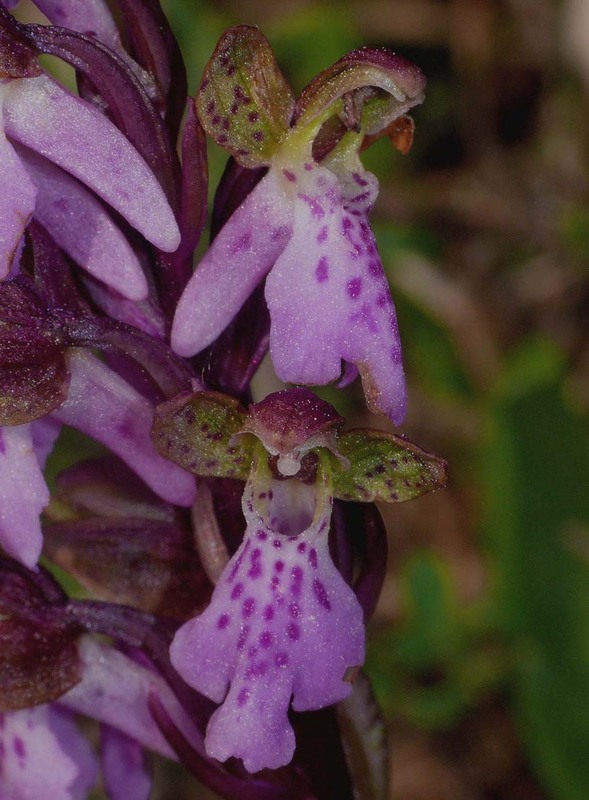 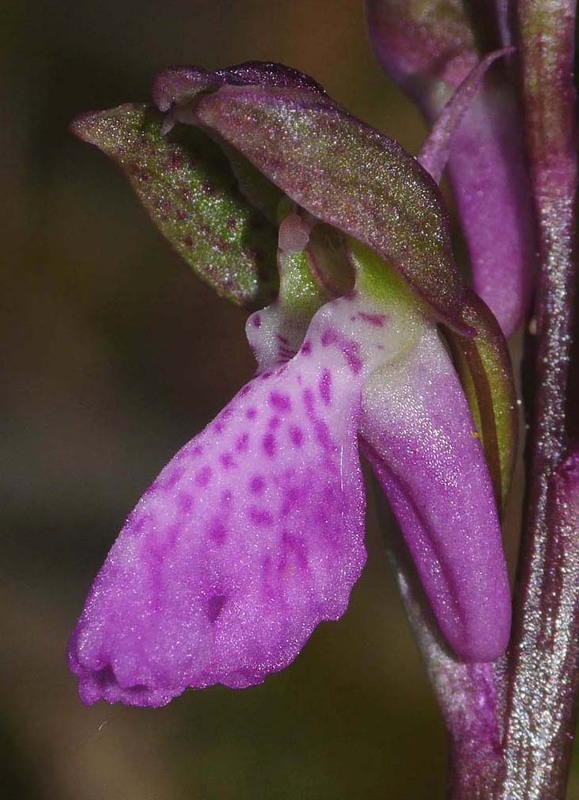 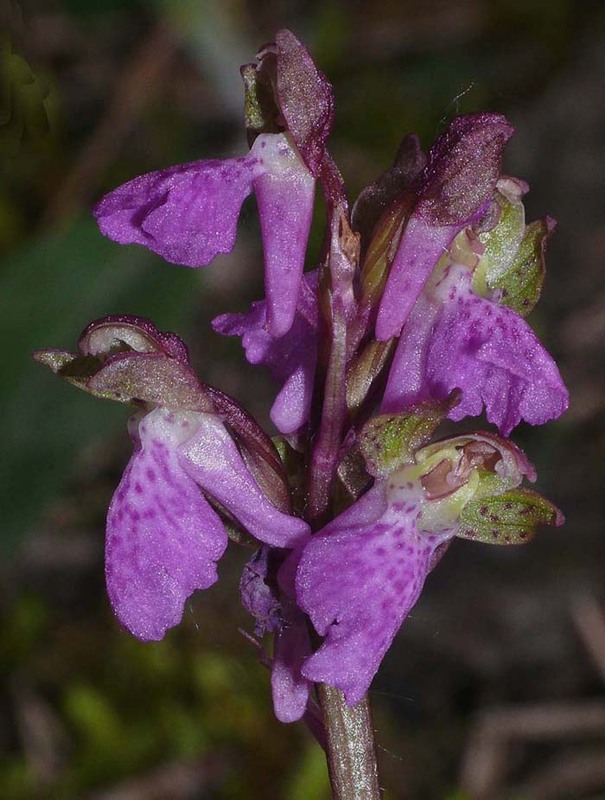 In these southerly areas O. spitzelii is a montane orchid, rarely growing below 1000m, whereas in the most northerly parts of its range it may be found at sea level. 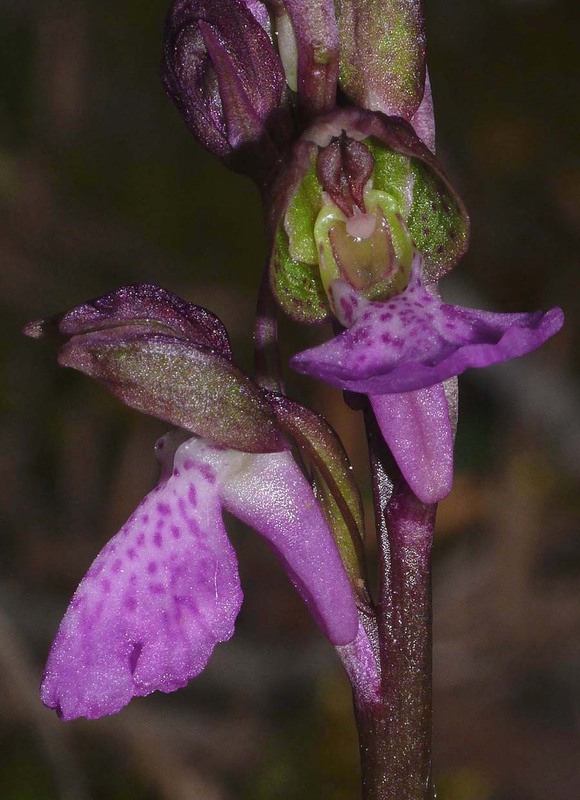 Its worth mentioning that Swedish populations (variety gotlandica) have been the subject of study in recent years and there are persistent doubts as to its native status in that country. 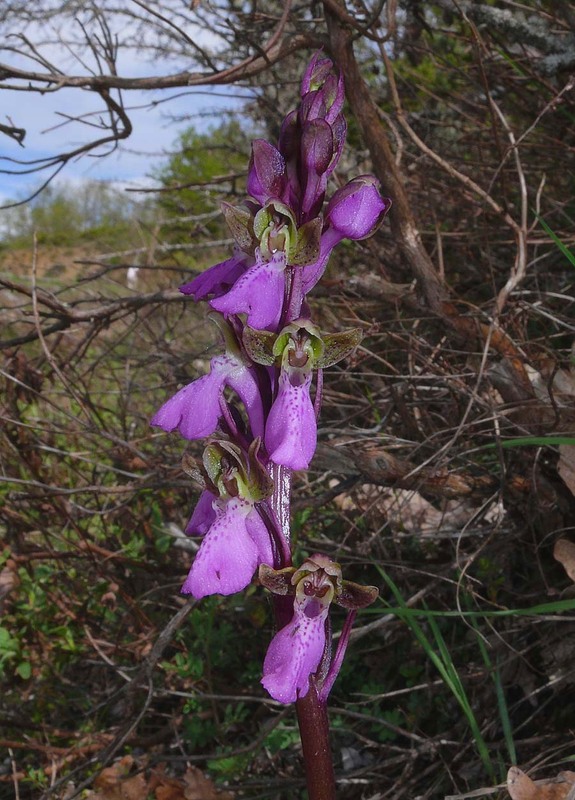 Its range reaches Lebanon in the east where the species is represented by the variety asiatica. 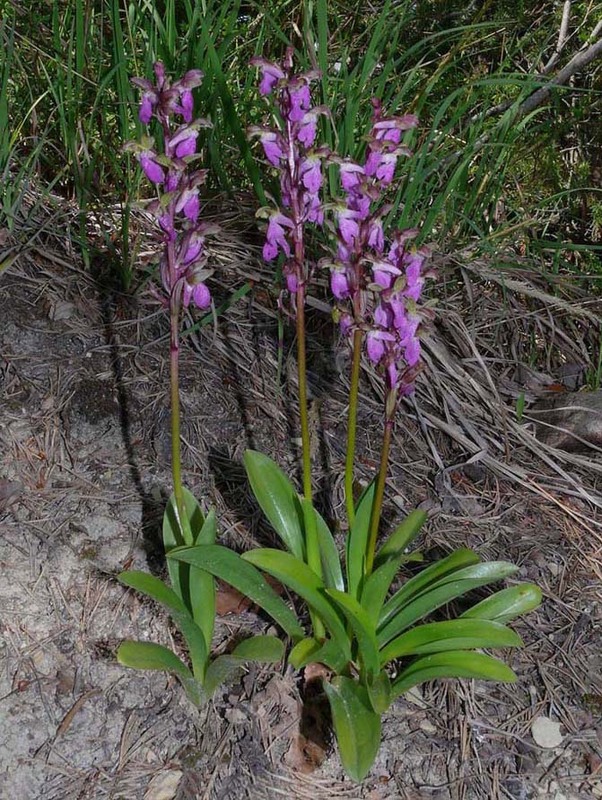 It prefers a semi-shaded position on calcareous soils but importantly, in a location that has a significant snow covering in winter. 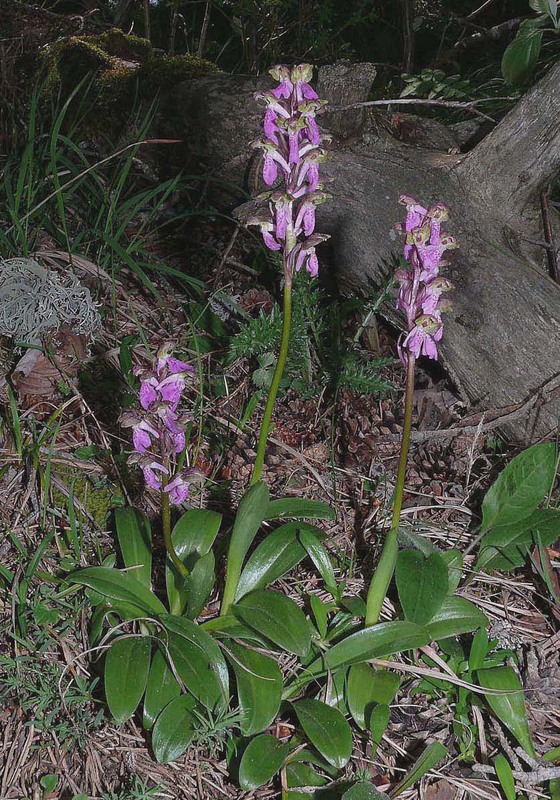 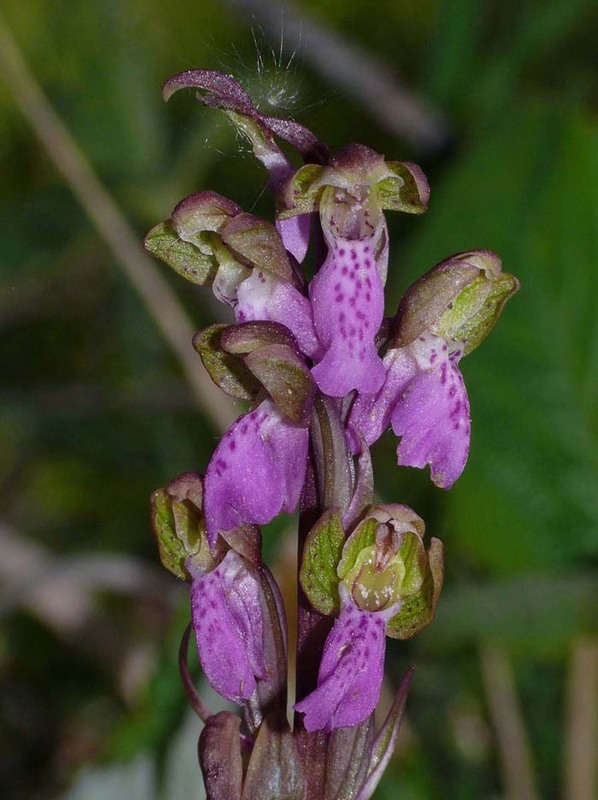 Its habitat requirements are remarkably similar to Cypripedium calceolus and yet a recent Dutch study concluded that despite these similarities, they are never found growing together even in those areas where they are both relatively common. 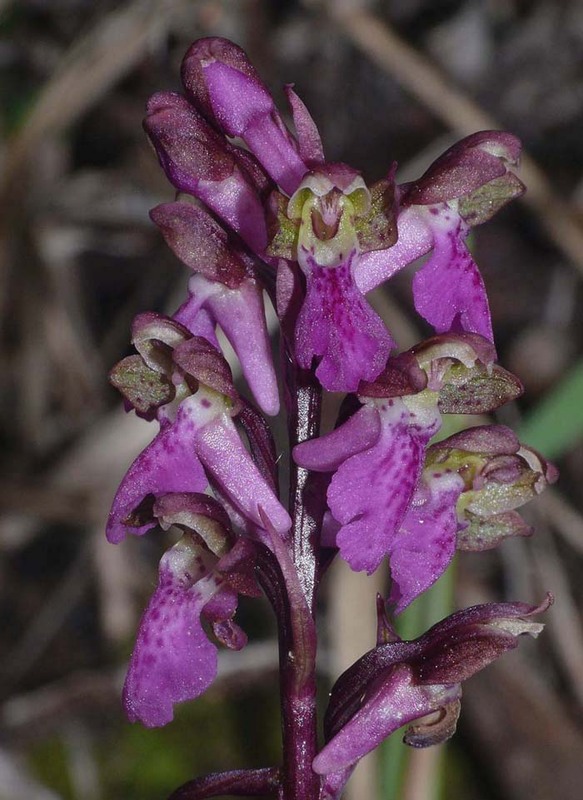 In our limited experience it's true to say that whilst we have never found them close enough to be photographed in the same frame, we have certainly noted both species growing within yards of each other ? 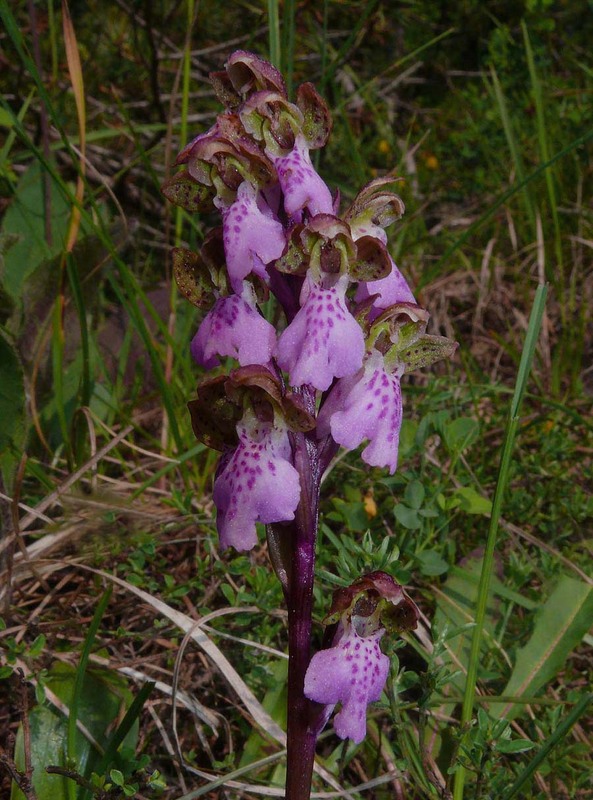 O. spitzelii is an enthusiastic hybridizer, particularly with other members of the O. mascula group and notably with O. mascula itself. 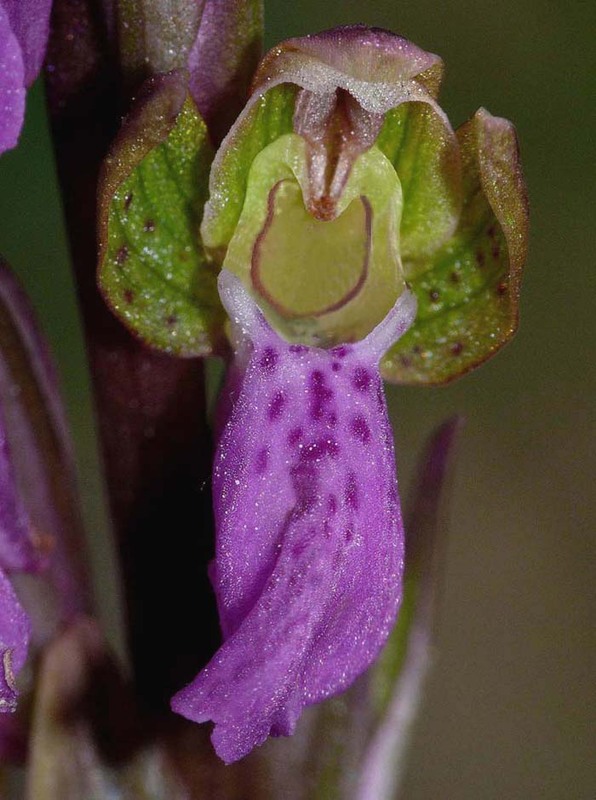 The species is otherwise highly distinctive and not difficult to distinguish from its cousins.